Melissa Harrison’s first novel weaves together a human story of four people whose lives are changed when their paths cross with the story of the seasons changing in a city centre park that those four people all love. TC is 10 years-old, his dad has recently left, he has no real friends, and mother often forgets to give him lunch money or to have food in the house for other meals. And so he spends his time in the park, using the book about nature that his father had left behind – wrapped ready for his birthday – to track the animals that live there. Sophia is a 78-year-old widow, living in a small flat on a rundown estate. Her daughter would like her to move but she doesn’t want to leave the park where she and her husband spent many happy hours, because they shared a love of nature. She sees TC from her window, and she likes to see his love for the park, but she is concerned that he is always alone and sad. Daisy, Sophia’s granddaughter, lived in a much nicer area and she went to a private school. She loved to visit her grandmother, who was much more easy going that her mother, and she has come to share her grandmother’s love for seeds and insects and all the small things in nature that so many others failed to notice. Jozef, is a middle-aged Polish immigrant who works in house clearances by day and in a takeaway by night; observing the small park as he mourns the farm he lost because he couldn’t deal with new EU regulations. He realises that TC is alone outside for far too long and he sees signs that he is hungry, so he tactfully offers him food and tries to he his friend. Time passes, seasons change and relationships shift as Melissa Harrison tells her story in lovely, lyrical prose. The story is subtle and the writing is understated. The juxtaposition of life in the park and life on the estate is striking, and the balance between the story of the human lives and the story of all that life in the park is very well judged. She catches the human lives just as well. She is gentle with her characters; she understands them, and their relationships with each other, and their love of the park. The relationships between the generations are particularly well drawn. Sophia and her daughter try to understand each other, but their differences mean that they never quite meet. The friendship between Jozef and TC grows beautifully. But there were gaps. I didn’t understand why Linda’s daughter suddenly decided that gardening would be her consuming passion. I didn’t understand what made TC’s mother so very neglectful. Questions like that bothered me. And I saw rather too much of the workings of the plot. There were many moments when spotted something that I knew would be significant and I knew why it would be significant. I was right. And yet when the consequences of all those things played out I found that I was involved with these people and their lives, and I was moved by what happened. Melissa Harrison has grown a little more as a nature writer than she has as a storyteller, and I think that with a just little more growing she might just write something very, very special. sounds like a beautiful story. I’ll have to take a look for it. It has it’s charms, so if you ever want a quiet simple story set close to nature this might be the book. 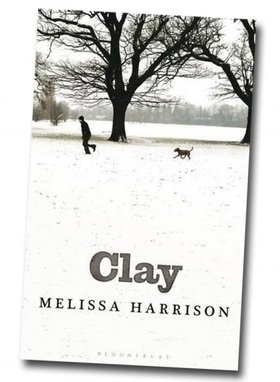 After rave reviews of Melissa Harrison’s latest book, I expected something better of ‘Clay’, but because of the way the nature bits were written I thought it read like a book for children. Sorry, it did nothing for me and I usually share your taste in books. I hadn’t thought of the book that way, but you’re right it could be a book for older children. I liked it for what it was, but I can appreciate why it didn’t work for you. A very thoughtful review. Like you, I loved Melissa Harrison’s writing, the focus on nature and the changing seasons. There’s something very heartfelt about this novel. Yes, heartfelt is the right word, and it is lovely to read somene who care so much about what her subject. A thoughtful and considered review as always. It does sound like the author’s nature writing is outstripping her fiction at the moment – is she normally a non-fiction author? Sounds like an excellent theme for a novel, though. I’m not aware of any non fiction, Liz, just that nature and the environment are a consuming passion for the author.